I get asked often, is a swaddle a prop? Is it useful? Where do you stand on a swaddle? Swaddling a newborn can be an excellent tool. It mimics the feeling of confinement that they experienced in the womb. It can be very comforting to a lot of newborns. I used a swaddle on all three of my children. Basically, they taught me how in the hospital. Now, there’s a little bit more concern around, is the baby getting overheated from a swaddle? I would just encourage you to keep an eye on it. I mean, obviously if you’re baby is sweaty under the swaddle, then perhaps you’re wrapping him too tightly or it’s too heavy of a blanket. Again, I’m asking you to use common sense around it. But it can be very helpful for a newborn in getting them calm. It also helps with the reflex, the startle reflex where they throw their arms out uncontrollably, which can wake a sleeping newborn. Having their arms down and being wrapped tightly can help with that. Absolutely use it. However, it can become a prop. If a baby gets used to the idea that they need to be tightly wrapped every time they sleep, then when they kick free, they may wake up and need your help to come back in and re-wrap them. It becomes a love-hate relationship at a certain age where your baby thinks he needs a swaddle but he doesn’t like it that much anymore. Because babies become so experimental with their movements and they like to kick and they like to practice and they like to roll around, they’re most likely going to kick free of the swaddle no matter how tightly you wrap it. You’re going to have to go in and intervene somewhere in the night or through the nap and get them wrapped up again. A good rule of thumb around the swaddle is, by the third month, start working your way out of it. By that, I mean, leave an arm out at a nap time. Try for no swaddle at a particular time. Bedtime is a great place to start experimenting with no swaddle because it tends to be the easiest time of the day to get a child to fall asleep. 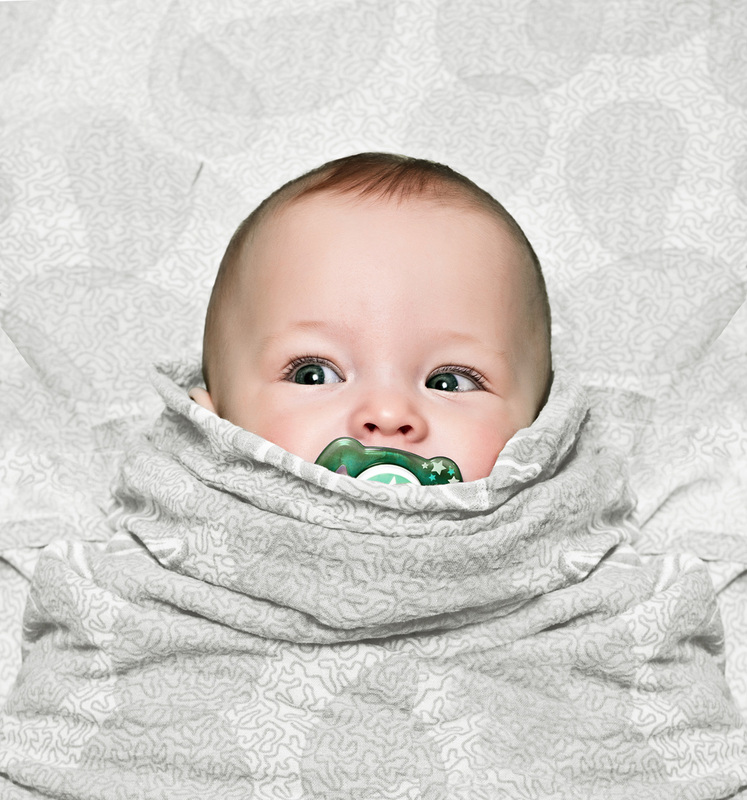 Going swaddle free at bedtime is a great place to start. One person who had an eight-month old, sewed together four receiving blankets so that they had a big enough blanket to swaddle their eight-month old baby. You can see how that can become problematic. If you’re in that situation and you’re wondering, “How do I get out of this now?” The only thing you can do is to lose a swaddle cold turkey. There will be no successful way to wean out of the swaddle because now it has become such a prop and a habit that anything less than being tightly wrapped up in their normal swaddle is going to be a cause of concern for the baby. You’re going to have to go through it one way or the other. So let’s get it done and go cold turkey with a swaddle. A great transition object is something called the zipadeezip. It can be a good transitional object when you’re in the swaddle and you’re working way out it. It resembles a swaddle but it’s a little looser with some arm and leg room involved. So I encourage you to check that out if you want to ease your baby into this a little more gently.